I am terribly sad that I can no longer find Jude’s Peanut Butter Chocolate Ripple, it was a limited edition tub which is a shame because it was incredibly good. Sainsbury’s have also changed their Peanut Caramel one which is now no longer as nice nor as peanut buttery. In essence my freezer is crying out for a new peanut butter ice cream that will deliver. So Jude’s Peanut Butter Ice Cream it is down to you! It seems that low calorie ice creams are gaining pace and certainly take up a large chunk in our supermarket freezer cabinet, and Jude’s are the lastest to jump onto the wagon. Coming in 4 flavours Peanut Butter, Vanilla Bean, Salted Caramel and Vegan Chocolate, each tub retails at £4.50, and can currently be found in Sainsbury’s. The description sounded promising, “Peanut Butter Flavoured Ice Cream with Peanut Butter Ripple and Sweeteners” and would you believe this tub is 390 calories per tub. That is probably the same as just a few scoops of your normal ice cream. As experienced with other lower calorie ice creams, defrosting it to a scoop-able state doesn’t take long at all. Digging into the tub I was unsure where this peanut butter swirl was hiding and instead there seemed to be mostly tiny chunks with the odd larger one, of which I assumed was the peanut butter. The ice cream had a better texture than others with some element of creaminess to it, however it was completely lacking in any flavour and had a little twang to it that I couldn’t quite put my finger on. Despite it promising that peanut butter flavour it was most certainly missing. The chunks, which are barely visible in the picture above, you would think would be like a PB golden nugget but in reality dare I say, this is the first time I have had to spit ice cream back out. Yes I know it is not very lady-like at all, but even I couldn’t mask the deplorable flavour and chalky texture that came with it! I sit here thinking of how to describe the flavour and I struggle because a) I didn’t taste it for that long, it was that much of an instant dislike, and b) I am loathed to try it again. 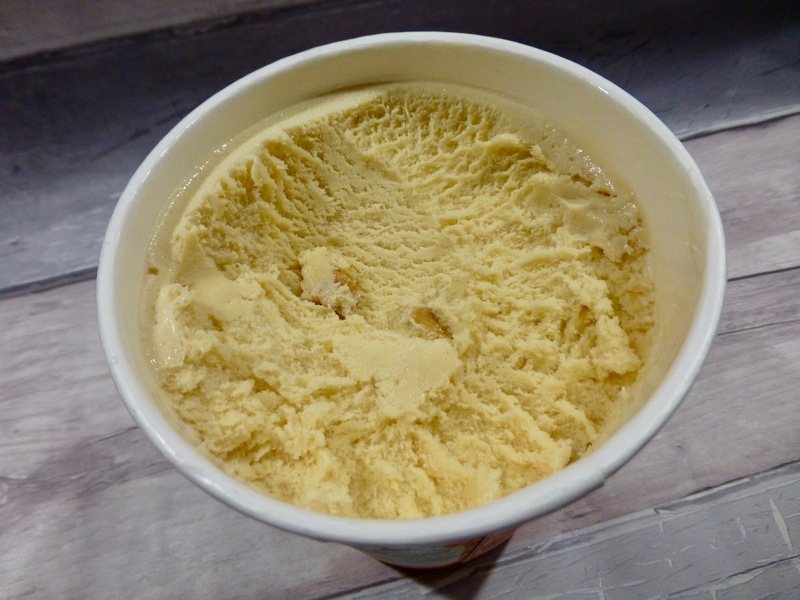 Now I am not sure if I had had a dud tub because there are some snippets I have read where people are loving the Jude’s Peanut Butter ice cream for its peanut butter flavour and mountains of peanut butter ripple, but this was the complete opposite for me. I couldn’t even finish the bowl and that is unheard of!! 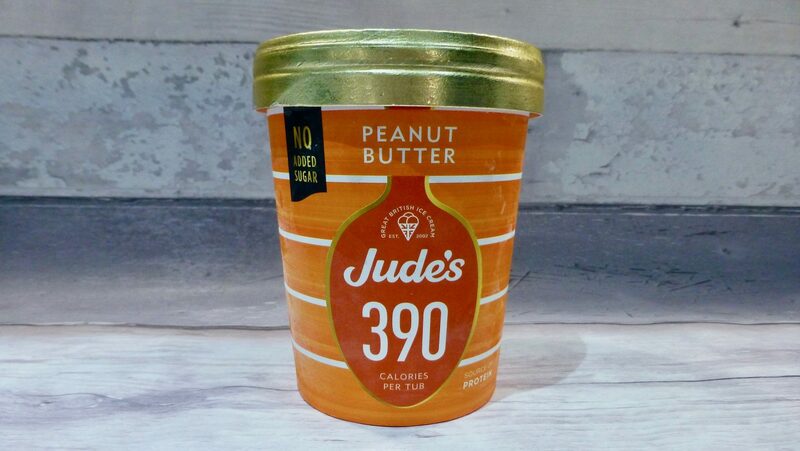 Have you tried the new low calorie Jude’s Peanut Butter Ice Cream? What are your thoughts? I am dying to know if I am a lone ranger on this or if others have a similar dislike! Couldn’t even finish the bowl? Must be poor!